Showing Products 21 to 41 of 51 Products. This A3 format atlas provides giant scale mapping and type throughout. Each page has been titled with its geographical location so you can turn to the page you need more easily. Fully udpated static speed camera locations with speed limits are pinpointed and wide minor roads are indicated. Fully updated guide to over 2,000 traditional countryside inns, taverns, gastro-pubs and welcoming hostelries, carefully selected on merit with no charge for entry. The guide also features inspected and rated accommodation. Each entry includes information on opening times, prices and food. Fully revised and updated for 2013, this specialist A3 road atlas of Europe provides multi-scale mapping of 46 countries. The mapping highlights toll-free motorways, car ferries, mountain passes with caravan suitability and world heritage sites and national parks. Fully revised and updated for 2013, this specialist A4 road atlas of France provides super-scale mapping at 3 miles to 1 inch making it very easy to read. There is a 12-page route planner, 44 city-centre plans, central Paris city plan and more. 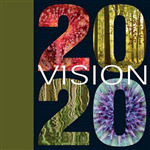 20 photographers, 20 locations - a vision to rebuild our natural home, 2020VISION is an all-media enterprise about why wild nature really matters. It's also the biggest photography-based project ever staged in Britain. 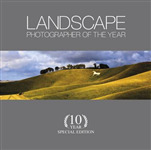 This is the official flagship book of the event, packed with fantastic photography and compelling narrative. This A4 format spiral bound road atlas provides super-clear mapping at 4 miles to 1 inch. Each page has been titled with its geographical location so you can turn to the page you need more easily. Static speed camera locations with speed limits are pinpointed. Over 3,000 hotels, quality rated by professional AA hotel inspectors. All the establishments featured have been officially inspected and rated for quality by the AA's professional inspectors, each graded with 1 to 5 Stars, with AA Red Stars highlighting Inspectors' Choice Hotels. Over 2,000 traditional countryside inns, taverns, gastro-pubs and welcoming hostelries are included, carefully selected on merit with no charge for entry. Full-colour throughout with more photographs than competing guides. The guide also features inspected and rated accommodation. Walking is one of Britain's favourite leisure activities, and this guide features a variety of mapped walks to suit all abilities. The book features all of the practical detail you need, accompanied by fascinating background reading on the history and wildlife of Essex, and cear mapping for ease of use. Walking is one of Britain's favourite leisure activities, and this guide features a variety of mapped walks to suit all abilities. The book features all of the practical detail you need, accompanied by fascinating background reading on the history and wildlife of Sussex, and cear mapping for ease of use.